The fourth phase of the backstreet repairs will commence on June 14th, 2017. 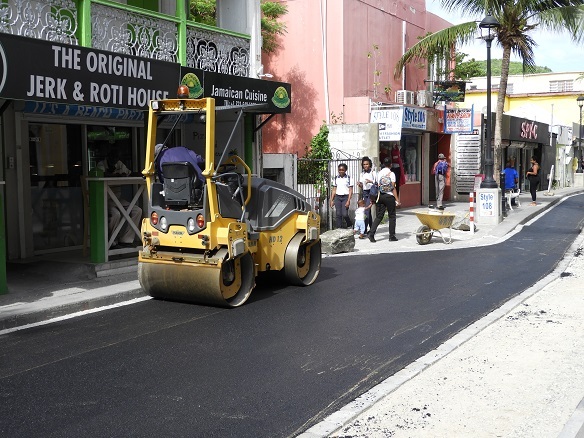 The fourth phase starts from Kortesteeg to Weduwensteeg and completion will take approximately two weeks depending on the weather and how many persons request connection to the sewage line. 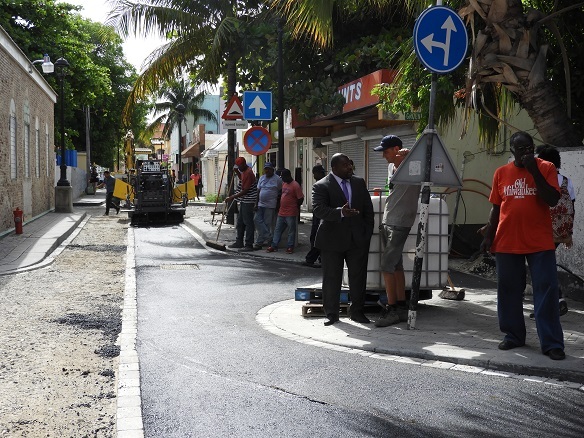 Asphalt will be poured until Weduwensteeg. After that point the road will be leveled by the repairing of sections of bricks until the end of Backstreet. Subsequently road markings will be painted, the curbs will be painted black and white and the bus stops will be painted yellow. The bollards on the back street will also be removed. This will not only enhance the appearance of the hectic strip but also give pedestrians more walking space. Honorable Minister Christopher Emmanuel is also looking into having benches placed on the Backstreet. Honorable Minister Emmanuel strongly believes Philipsburg sets the standard for the other districts and should always be in a superior state. Honorable Minister of VROMI, Minister Emmanuel, advises pedestrians to be very cautious in this area. Not only from uneven walkways but also hot asphalt. For further inquiries regarding being connected to the sewage line on Backstreet, please contact the Department of Infrastructure of the Ministry of VROMI via telephone number +1 721 5424289.